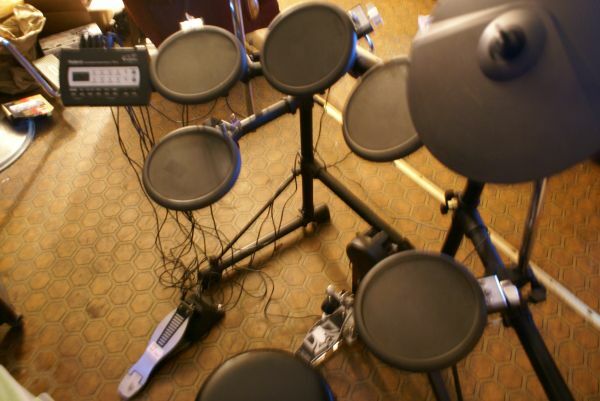 Hello, were selling my sons drum set. Its very well kept, perfect working condition with owners manual. 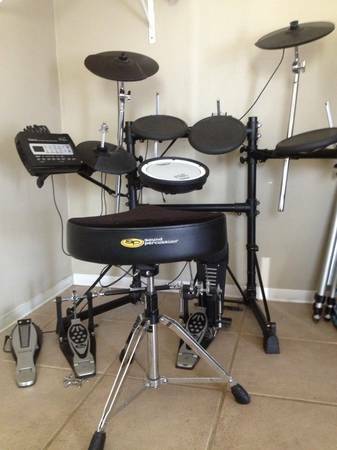 If your kid wants to learn the drums this is the set for you.... Your kid can put on a set of headphones and you wont here a thing while he she is practicing.